Product prices and availability are accurate as of 2019-04-11 10:11:25 EDT and are subject to change. Any price and availability information displayed on http://www.amazon.com/ at the time of purchase will apply to the purchase of this product. 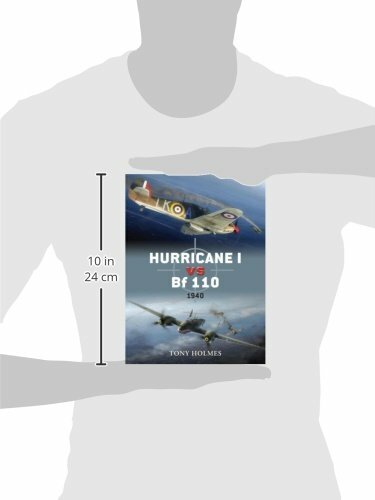 The Hurricane was the RAF's first monoplane fighter and saw significant combat during the fight over France and the Battle of Britain. One of its principal opponents in 1940 was the Bf 110 twin-engined, two-seat heavy fighter. 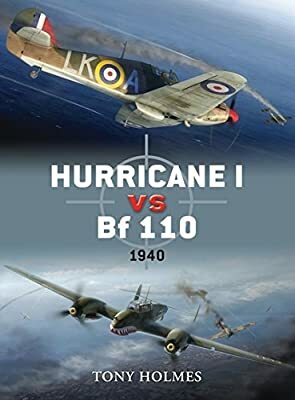 Following the invasion of France, these fighters clashed regularly as the RAF's Hurricanes attacked German bomber formations defended by Bf 110. Although the Hurricane had the upper hand when it came to maneuverability, the Bf 110 outclassed it in terms of fire power, with its mix of machine guns and cannon. This is the story of the dramatic battles in the skies over France and the Channel as Britain desperately tried to hold back the German onslaught from her shores.